The first time I travelled overseas was in my early twenties. I set off, as a lot of young Australians do, for a year overseas. It's such a long way to get anywhere from Australia that you really have to make the most of it when you go. That first trip was such a blur of countries and I don't really remember paying a lot of attention to the textiles in any of the places I went. The trips since then have been different – maybe because they've focussed on one country, and they've been real holidays rather than a working one. My second trip overseas was to Mongolia and it inspired the project I want to complete during August and September. Mongolia was like nowhere I'd been. Even driving in from the airport it took me quite a while to put my finger on what was so different. Looking at the landscape as we drove in to Ulaan Baatar, the capital, there were no billboards, no lighting, no fences, no electricity poles – just lush green hillsides. I read somewhere recently that the city now has the worst air pollution in the world due to the rapid expansion of mining in the country. It's so, so, sad – only 15 years ago it was the most pristine place I'd ever seen. It's also amazing to think how much technology has changed in that time. Where I was using a film camera for that trip, and took photos sparingly, now I just point and shoot anything on my iphone, knowing I can delete it later. 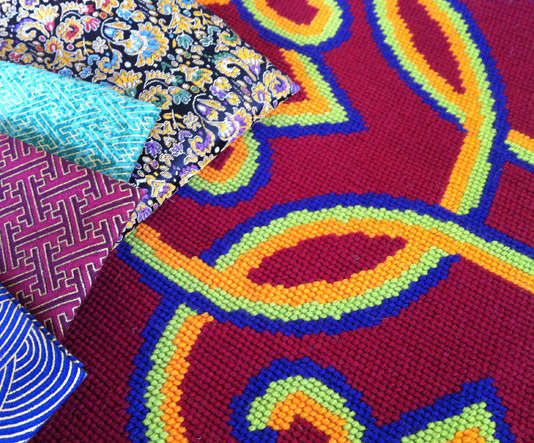 Random shots of fabric, embroidery or folk art can all be taken and shared online in an instant. I don't have those kinds of photos from the Mongolia trip, so I've created a Pinterest board so you can see the kinds of things that inspired me. I first created the pattern for three needlework pieces not long after I got back from Mongolia. While there might be three in the set, I've only stitched two. Even then, those two have been sitting in a WIP basket waiting for me to do something with them for years. So, of course, this year, with the lovely year of finishes, I think it's finally time I did something about it. My goal for August is to design some fabric to complement the needlepoint, and then September's goal will be to turn it into a finished pouffe. This is all sounding highly ambitious to me now as I type this, but let's just call it my stretch goal for the year... Here goes! WOW I am having a swoon. My LYOF for this month is based on spice market images and Morocco!!! I like your pinterest, and look forward to seeing what you design. Aren't colors the best thing ever? Happy creating! Oh I love Morocco Jane! It's been a good 20 years since I've been there, but the frenzy of colours, patterns, noise and smells was so inspiring. I'll pop on over and check out your blog. Good luck with the finish! And yes, colours are the best thing ever!! Cool Tara. 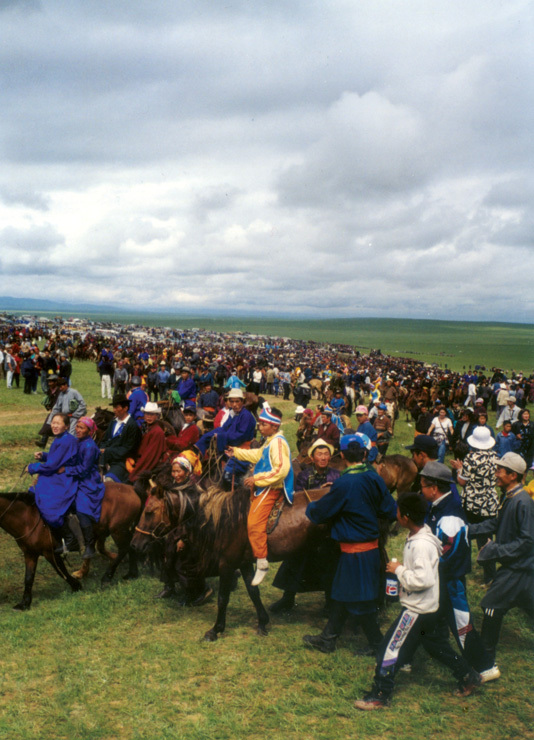 Is that photo of the Naadam festival one that you took?